Love and Destiny is a love story between a Fairy girl and the God of War. After he battled and sealed away the Demon God 10,000 years ago, our God of War remains in a deep slumber, only to be awakened by our heroine per chance. The two slowly become acquaintances and are fascinated by each other, thus the seed of love is planted. Unfortunately our fairy girl carries with her the….what to call it, an aura of evil? Lol. It can help unseal the Demon God, wreaking havoc to the world. From an innocent young maiden, our heroine becomes a strong leader who guides her clan against the Demon God, who ultimately breaks the seal. To save the world, our hero fights relentlessly for days and finally conquers the Demon God. However, his power is exhausted and he falls into the arms of his beloved. End. I like how this synopsis….reveals the ending….Hmm?! The whole time I thought Lin Yun was involved in this production. Ni Ni and Lin Yun could be sisters! Feels like an advertisement…. Lol. 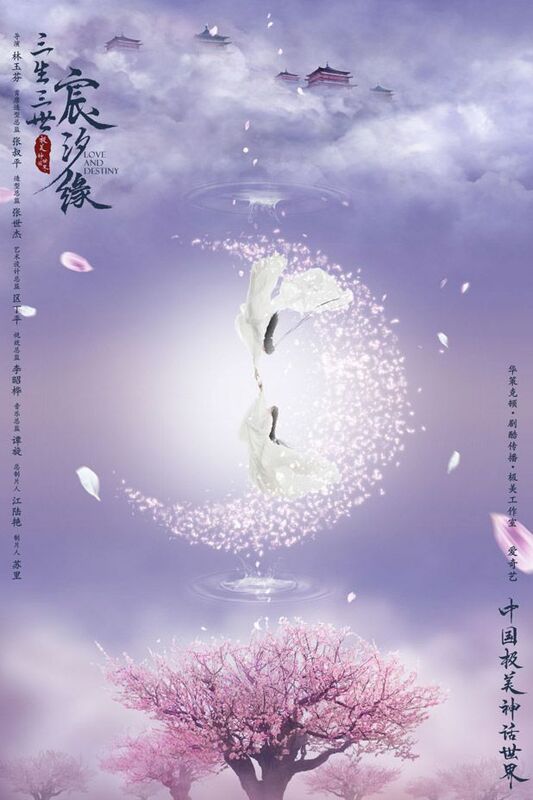 This entry was posted in Entertainment News and tagged Cdrama, Chang Chen, Love and Destiny (三生三世宸汐缘), Ni Ni by Kappy. Bookmark the permalink. It does feel like a commercial – one that’s trying to sell the latest hi-def tv. Visually, the 2 leads don’t appeal to me and the storyline seems overdone. Honestly not really interested in the plot and I personally don’t have investment in the leads (I know NiNi’s super popular but I personally haven’t watched anything she’s in). HOWEVER will definitely still check it out because totally acknowledge that at least based on reputation the two lead actors are definitely skilled and just good in general. So definitely I have faith in that, even tho tbh at first glance I feel pretty ambivalent. I didn’t know this drama existed at all. I saw it suggested in my Youtube list and was confused when I watched it. I thought they were making another novel adaption of the same author as TLTW. Then I googled and found out it’s a standalone series based on the same mythology and world. I adore Ni Ni so I’ll definitely be hooked on this plus the same team as the last one on TLTW is even better. I also like the director so seeing her in charge I have a feeling it’ll be something good. Ni Ni is an amazing actress. From her performance in Rise of the Phoenixes, I’d put her on the same-ish level as Sun Li. She’s a movie actress who’s trying her hand at branching into dramas, which really speaks for itself in terms of her ability. For anyone who doesn’t know her that well, her debut was in Flowers of War with Christian Bale where she acted a prostitute who saved the lives of students during the years China was imperialized by Japan. 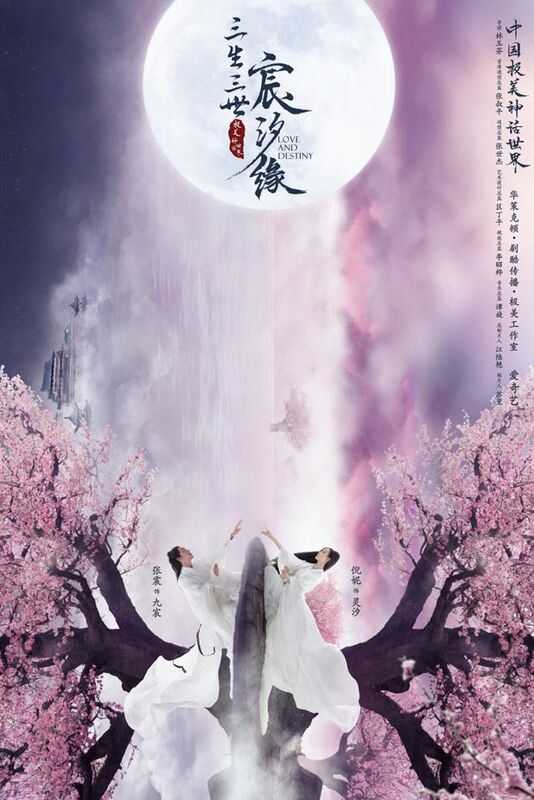 Flowers of War is a relatively shorter piece to start with than Rise of the Phoenixes. I don’t know so much about her co-star, but with Ni Ni and Three Lives Three Worlds’ director, I’m in. I’m already hooked. Ni Ni is absolutely gorgeous in these shots and Chang Chen, well, he’s a veteran actor, so we can expect the acting for both our leads to be good. I loved TMPB, so I’m looking forward to this. Nini was great in Rise of phoenixes. Think I’ve seen the ML in some movies although I don’t quite remember how his acting was. He does like the part of a god of war at least.